Chopsticks are optional but slurping is expected. We are a destination for all things local and delicious. We are committed to our recipes, which have been passed down through our family and made for your enjoyment; we invite you to experience a seat at our table. Our menu boasts traditional Vietnamese favorites, from fried to perfection egg rolls, traditional banh mi sandwiches, to our impeccable pho. We assure you there is something delicious for everyone. Gluten free rice noodles served with white onions, scallions, and cilantro. Beef Rib Combination with Eye Round Steak, Meatball, Brisket, and Tendon. Beef Noodle Soup Combination with Eye Round Steak, Meatball, Brisket, and Tendon. Need catering for an event? Give us a call and we'll be happy to serve you. 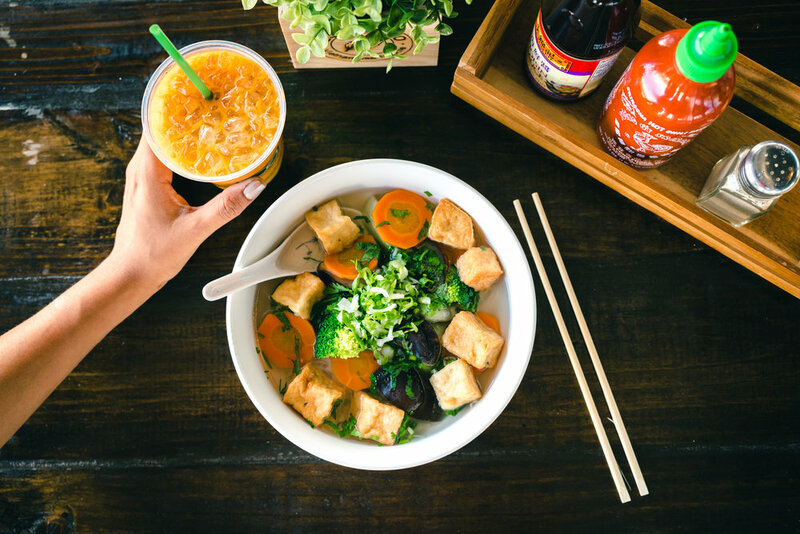 Sign up with your email address to receive news, deals, events, and new features that are happening at local pho.